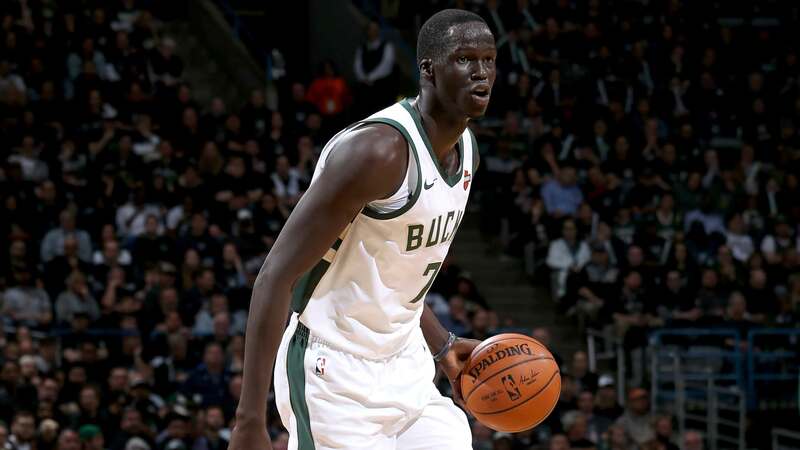 In 2016, Thon Maker joined the growing list of South Sudanese players to have made it to the National Basketball Association after having escaped violence in their home country and sought refuge in another. The 7 feet plus power forward/center, who was selected 10th overall by the Milwaukee Bucks, made his way into the draft straight from high school, becoming only the second player to do so in more than a decade. On the 25th of February, 1997, Thon Marial Maker was born in Wau, present-day South Sudan. Due to the ongoing civil war in the country at the time of his birth, Maker, his younger brother, and Aunt escaped to Uganda where they stayed as they applied for refugee status to Australia. By the time Maker was 5 years of age, the Australian government accepted their application, giving room for the family to move to Perth, Western Australia. At the age of 14, Maker was spotted playing soccer by a sports agent Edward Smith, an Australian of African-American descent who has helped a number of immigrant Sudanese children pursue a career in basketball. Smith was able to convince Maker’s aunt to let the young towering boy move with him to Sydney where he would get the opportunity to properly learn the game while also receiving quality education in Australia’s most populous city. His aunt gave her consent and Maker went to play for the St. George Basketball Association before heading to the United States for a talent camp. Upon entry into the United States, Thon Maker enrolled at Metairie Park Country Day School in Louisiana. He moved to another school in the state before eventually settling at Carlisle School in Martinsville, Virginia. In his first two high school basketball years at Carlisle, Maker played in 53 games and averaged 22.2 points, 13.1 rebounds, 1.9 assists, 1.4 steals, and 4.5 blocks per game. He led the school to a state championship in his sophomore year which earned him the Gatorade Virginia Boys Basketball Player of the Year award. In his third year, Maker was joined by his younger brother in the United States and again, he transferred schools, this time to Orangeville District Secondary School in Ontario, Canada. He opted to move here because Smith had found work as an assistant coach at the Athlete Institute in Mono, Ontario. By 2015, Maker was being recruited by a number of college programs in the United States, however, he opted to declare for the 2016 NBA Draft. The move required clearance from the NBA which he was able to get by proving he had graduated a year ago in order to meet the eligibility requirements for high school graduates to have an extra year after graduating before turning pro. After impressing at the NBA Draft Combine, Thon Maker was selected by the Milwaukee Bucks with the 10th overall pick. He went on to join the team for the 2016 NBA Summer League where he averaged 14.2 points and 9.6 rebounds in the tournament to earn All-NBA Summer League Second Team honors. He went on to make his NBA debut on the 30th of October, 2016 in a game against the Detroit Pistons. By February 2017, Maker was able to break into the starting five, mostly due to the injury to Jabari Parker. A few months later, he recorded a career-high 23 points. This took his averages in the 2016-2017 season to 4.0 points and 2.0 rebounds in 57 games. In the 2017 playoffs, he averaged 5.8 points, 3.2 rebounds, and 2.0 assists in 6 games. In the 2017-18 season, Maker lost his starting spot as he averaged 4.8 points and 3.0 rebounds in 74 games. In the 2018 playoffs, he averaged 5.5 points, 3.8 rebounds, and 1.8 blocks as his team again crashed out in the first round. 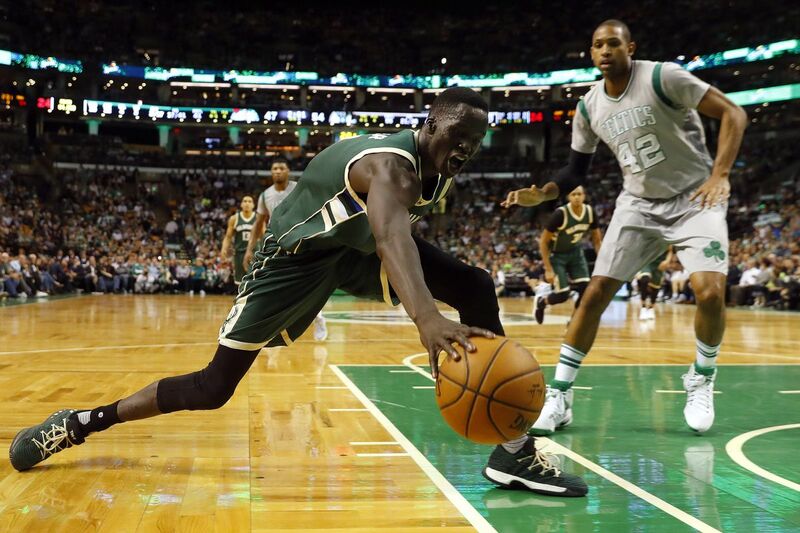 Thon Maker is 7 feet 1 inch (2.16 m) tall and weighs 223 pounds (101 kg). Going into the 2016 NBA Draft, many teams passed up on selecting Thon Maker because it was believed that his age had been misinterpreted. The then 19-year-old was believed to be at least 23 years of age. Maker’s younger brother, Matur, plays professional basketball in the Swiss Basketball League for Union Neuchatel Basket. Despite interest and persuasion by Canada for Maker to represent the country at the national level, the baller opted to play for Australia. He made his debut for the Australia national team on the 29th of June, 2018 in a FIBA World Cup qualifier.